On Tuesday, December 4th 2018, the 2nd General Assembly of Sustainable City Network took place at the Caravel hotel in the framework of the annual conference of KEDE. 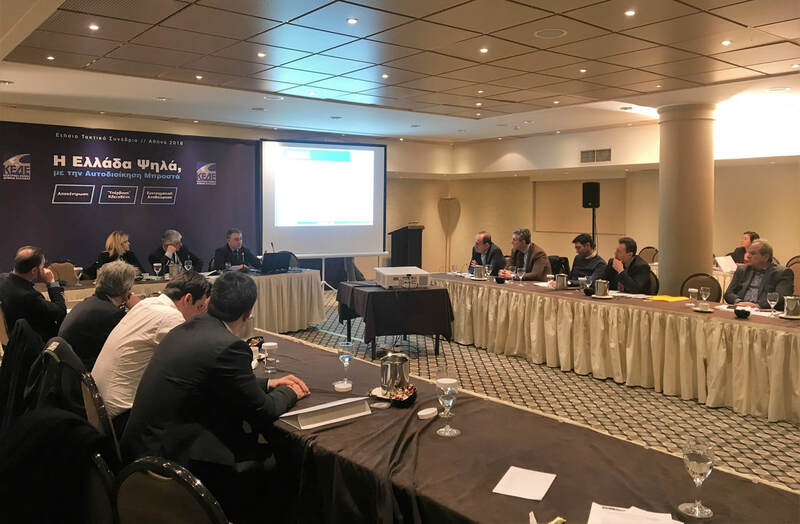 An important issue of the meeting was the approval of the entry of new members, the municipalities of GORTINIA, ERETRIA, EVROTA, THIVEON, SARONIKOS and SIFNOS as well as the FODSA of Peloponnese. Furthermore, the activity of Sustainable City so far was presented, with focus on the participation in the submission of 22 European proposals despite the short period of action. Finally, the rules of operation and commissions were approved, as well as the amended statute including all new members.